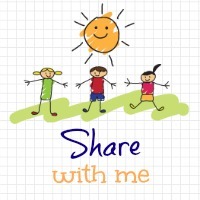 Welcome to the ‘Share With Me’ blog hop Week 33! Without further ado my favorite link up was from the lovely My Days NI -The Truth About Having Two Children. So hilarious! So true! If you missed it, you have to check it out here! That’s ok hun. Welcome anytime! Great to have you back! Enjoy!